World's larget mobile phone company Nokia is still behind from other mobile phone companies.Nokia cannot take down the apple iphone.Nokia engineers are now making mobile phones compet with apple iphone.Nokia tube concept is a another attempt of Nokia. 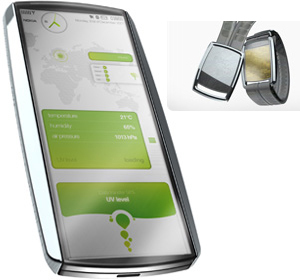 Nokia mobile phone company is developing nano technology mobile. They already launched touch screen phones and trying to launched more touch screen phones like Aeon. Nokia Tube concept was showcased at the Evans Data Developer Relations Conference in Redwood City. The company added that Tube would support Java unlike the iPhone which lacks support for it and Flash.Nokia has not published times for the possible launching of this device.